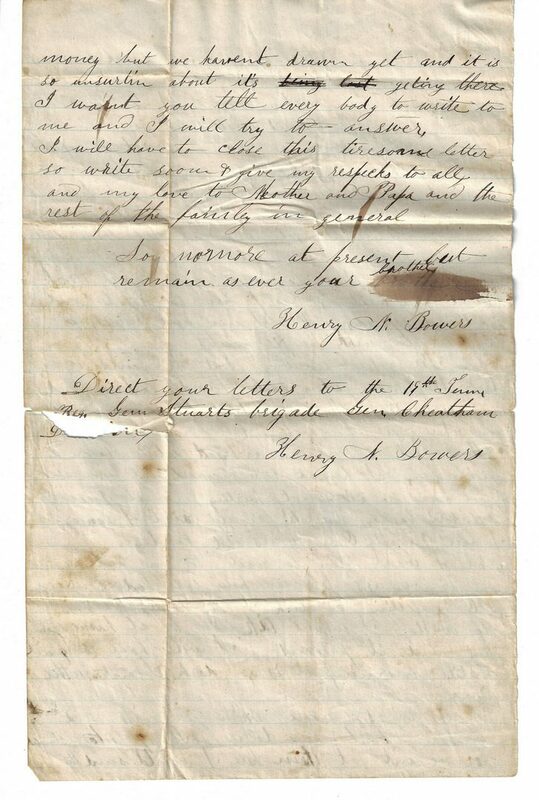 Archive of approximately one hundred and four (104) ALS and other documents related to Henry Bowers (1842-1863), who fought for both the Confederate States of America (CSA) 19th Tennessee Infantry, Company B, and the Union, 4th Regiment, Tennessee Infantry, Company B, F, and the Bowers family of Boone's Creek in what is now Johnson City, Washington County, TN. 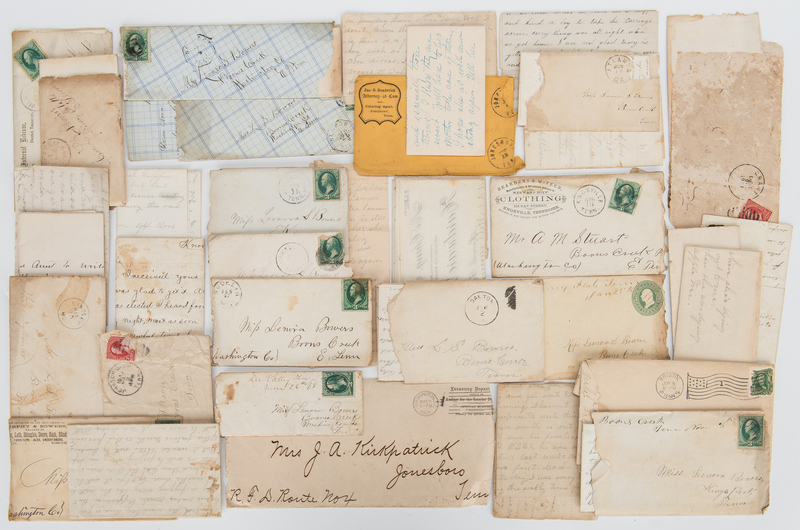 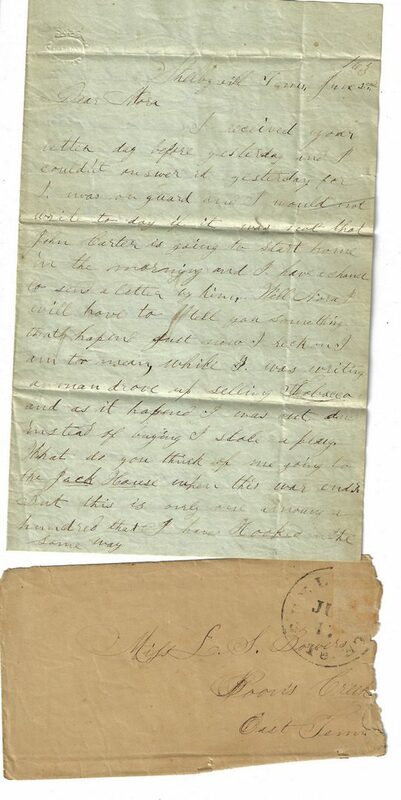 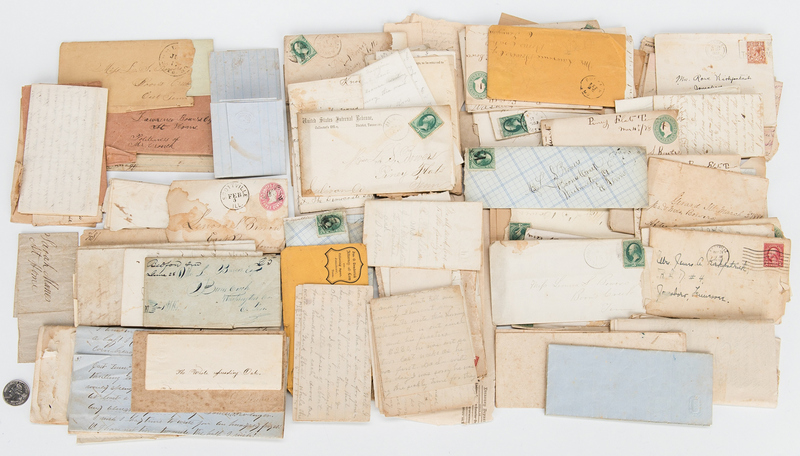 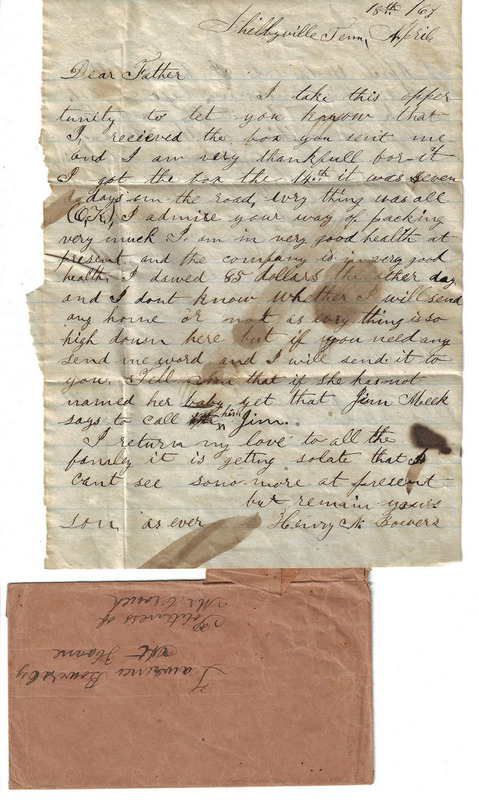 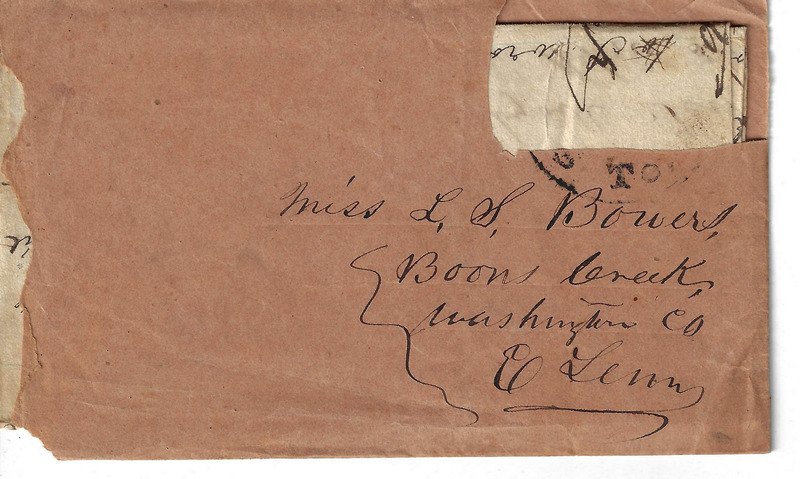 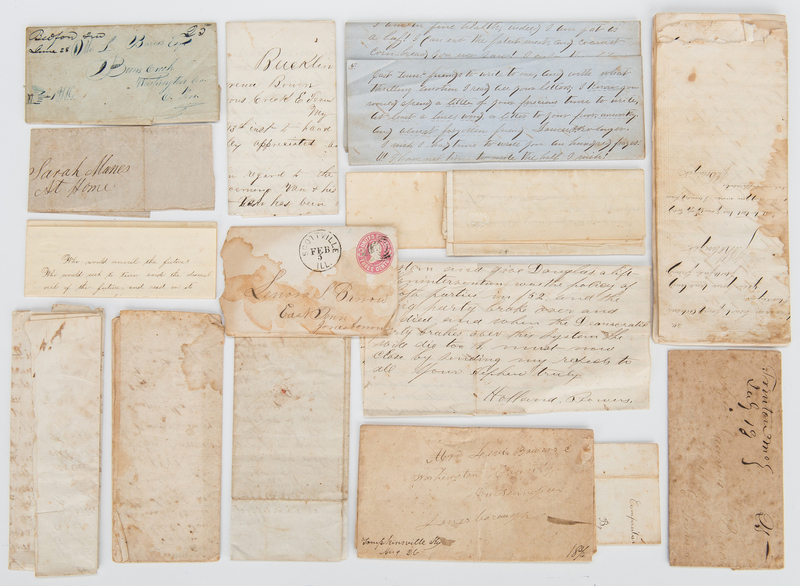 Approximately twenty (20) pre-Civil War letters, eight (8) Civil War period letters, and seventy (70) letters dating from the post-Civil War period. 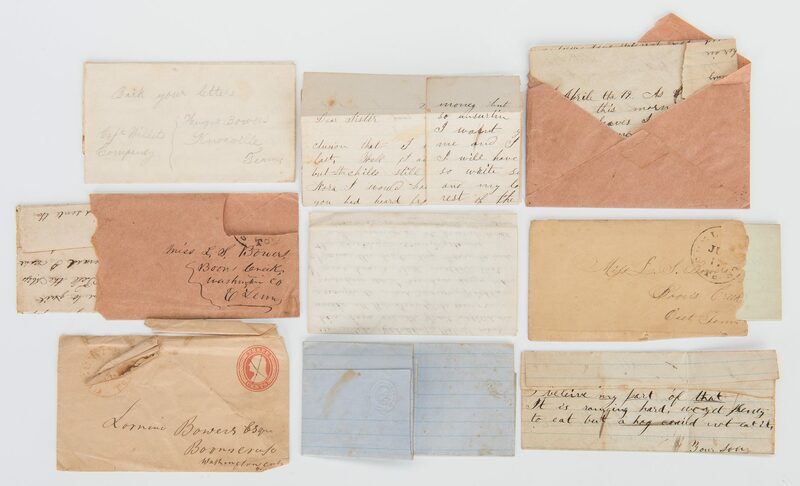 Topics include the Civil War and general pre and post war correspondence (1830s-1901) including matters related to Lenora Bowers' career as a teacher and to schools in general in 19th century East Tennessee. 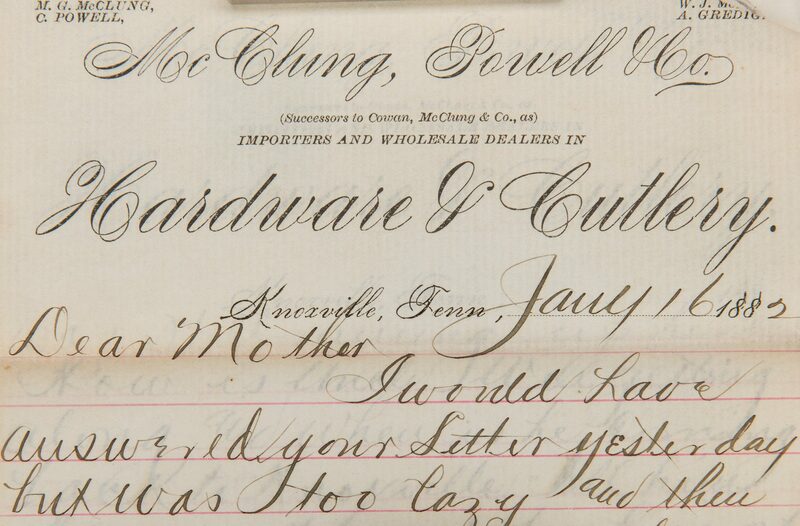 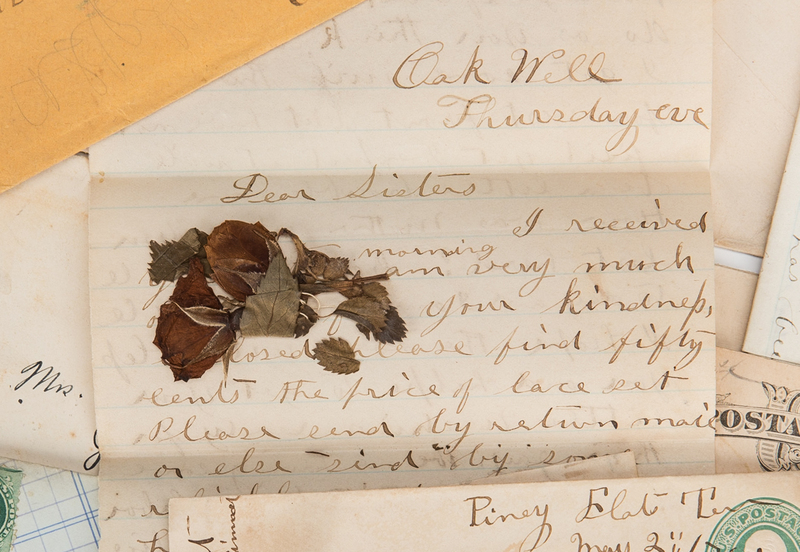 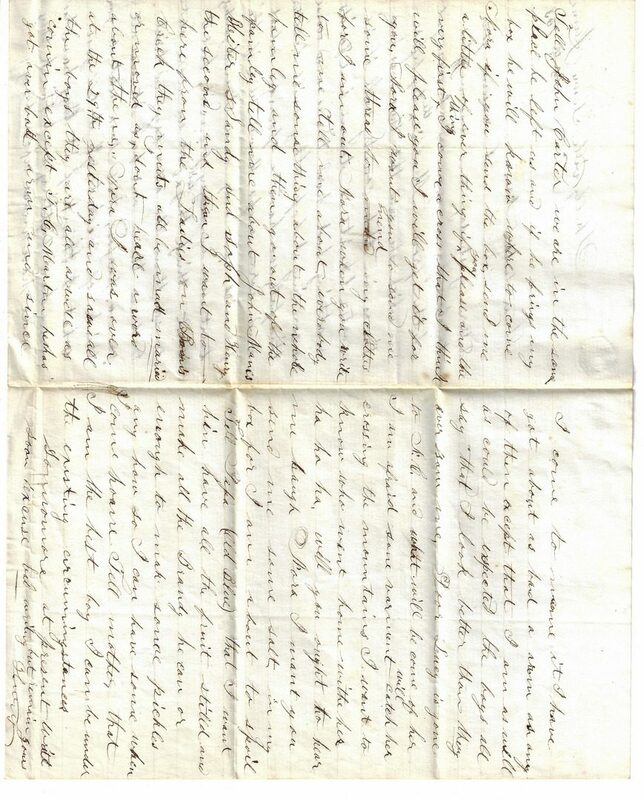 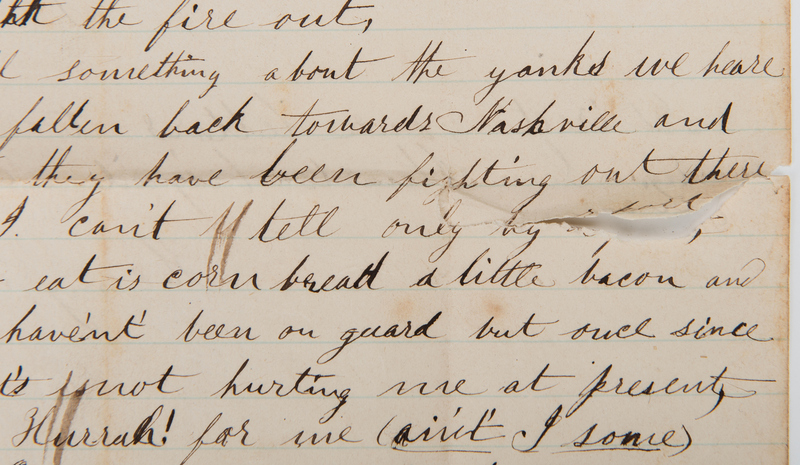 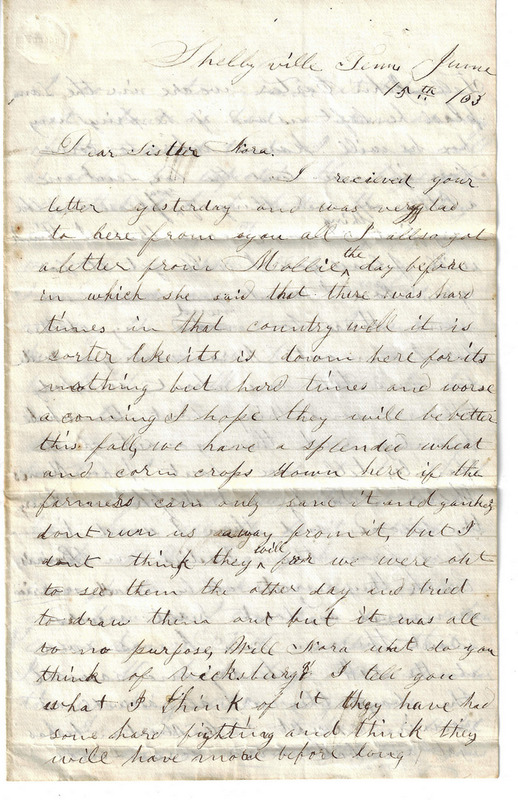 Other letters concern a relative working for the railroads, and other relatives who went west. 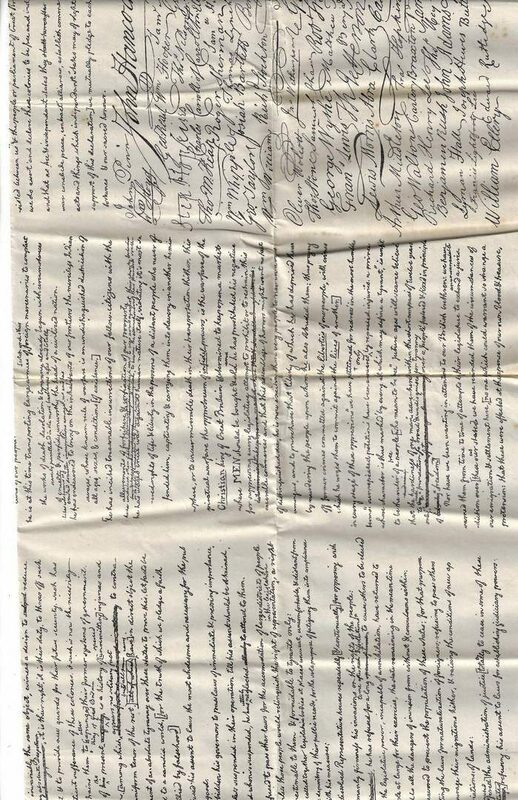 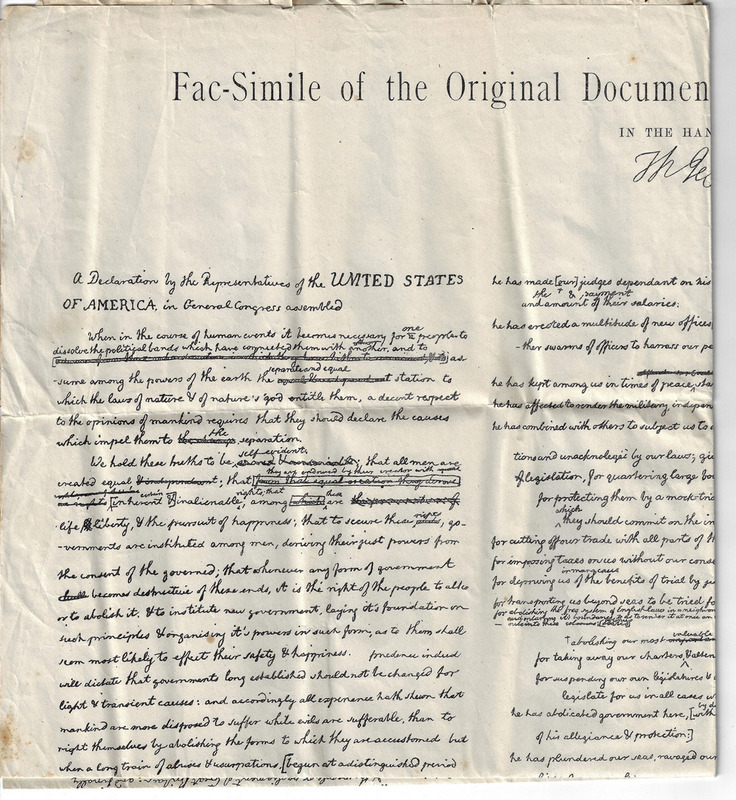 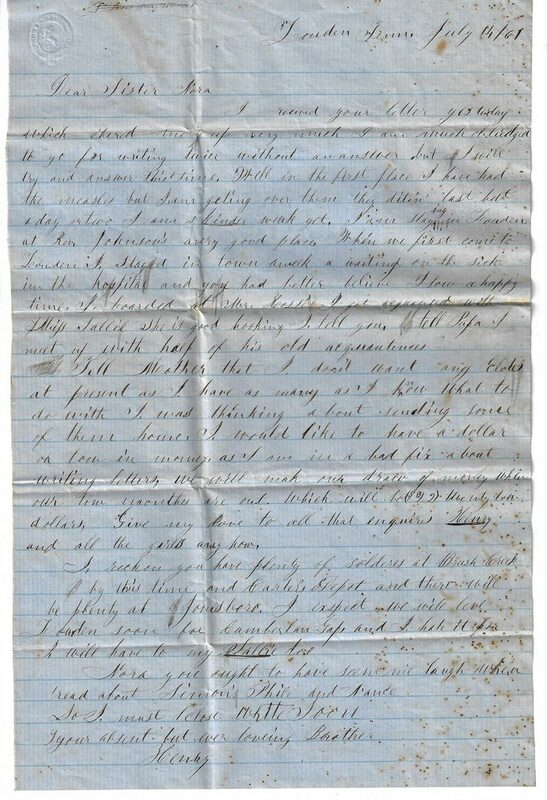 There are eight (8) Civil War period ALS, mainly written from Henry Bowers to his sister, detailing Confederate camp conditions in the East Tennessee area during the early part of the war. 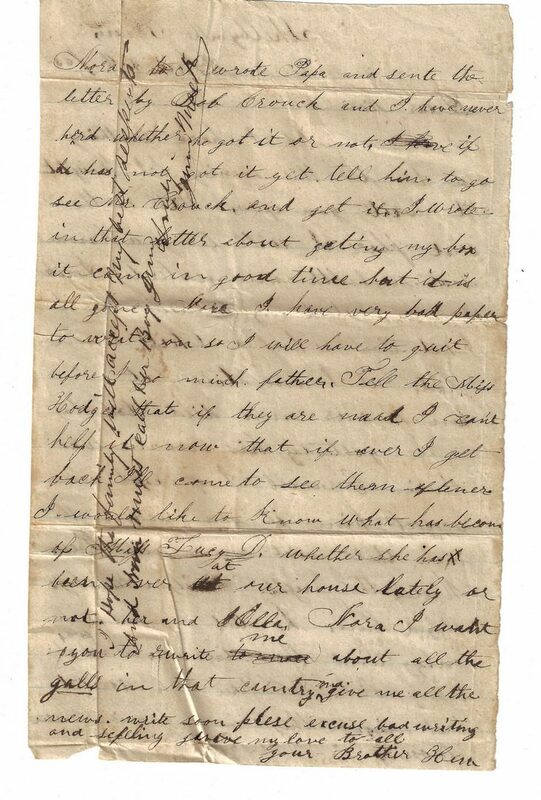 In one letter addressed from Shelbyville, TN, dated March 22, 1863 he describes the position of both armies, writing "Now I'll tell something about the yanks we heare [sic] that the have fallen back towards Nashville and we heare [sic] that they have been fighting out there somewhere but I can't tell only by report…". 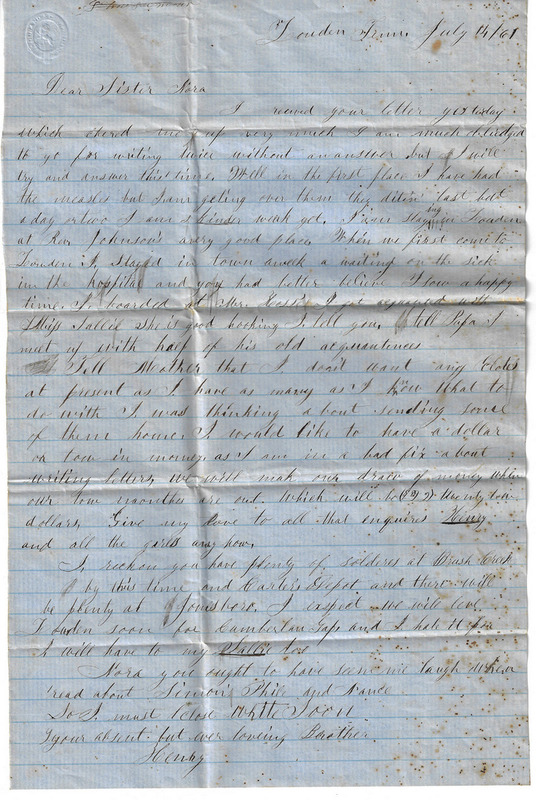 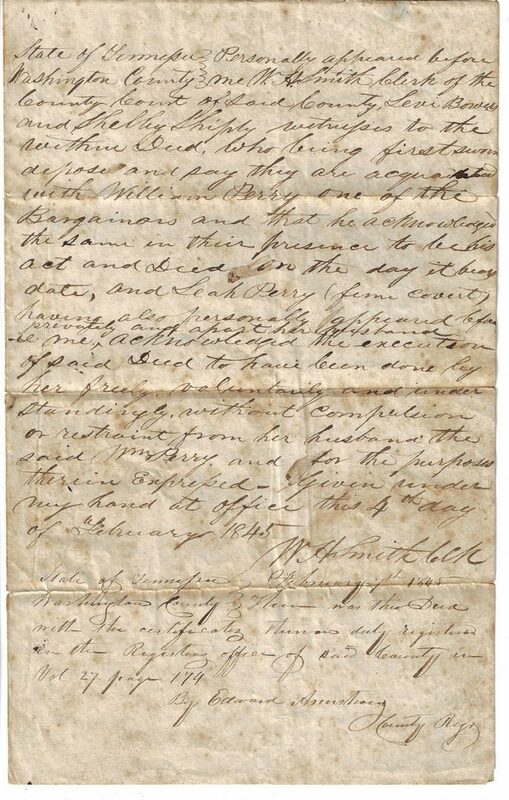 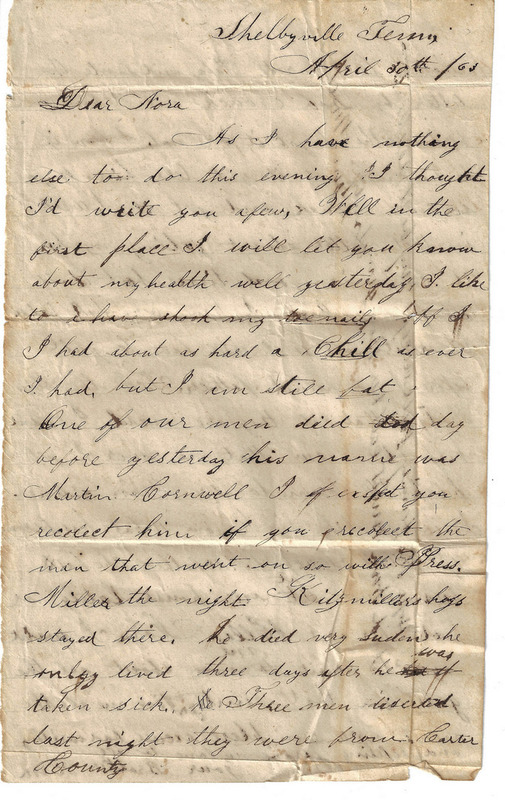 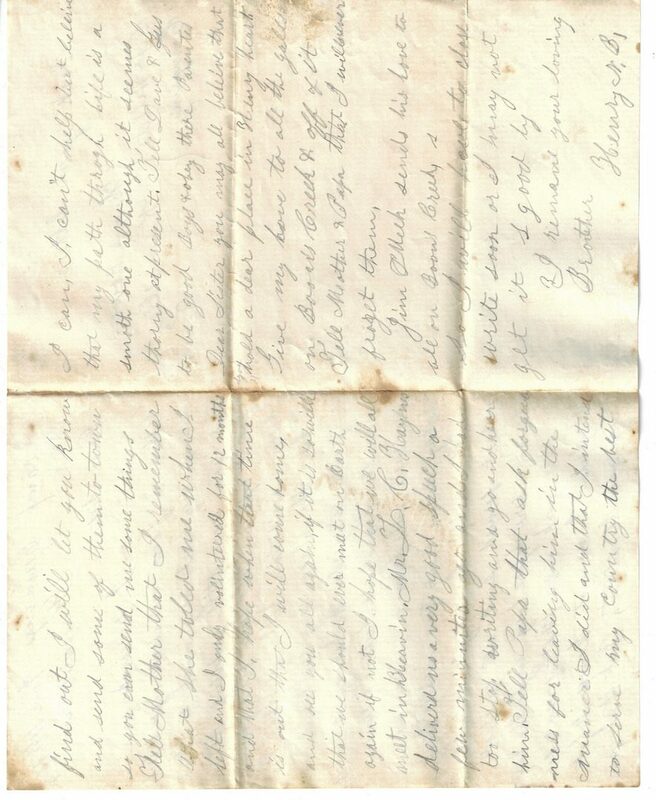 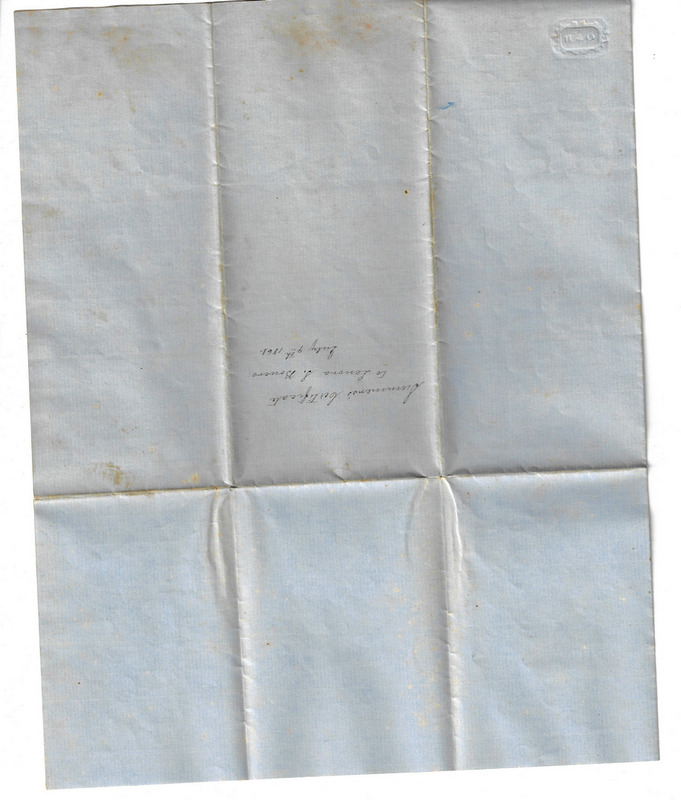 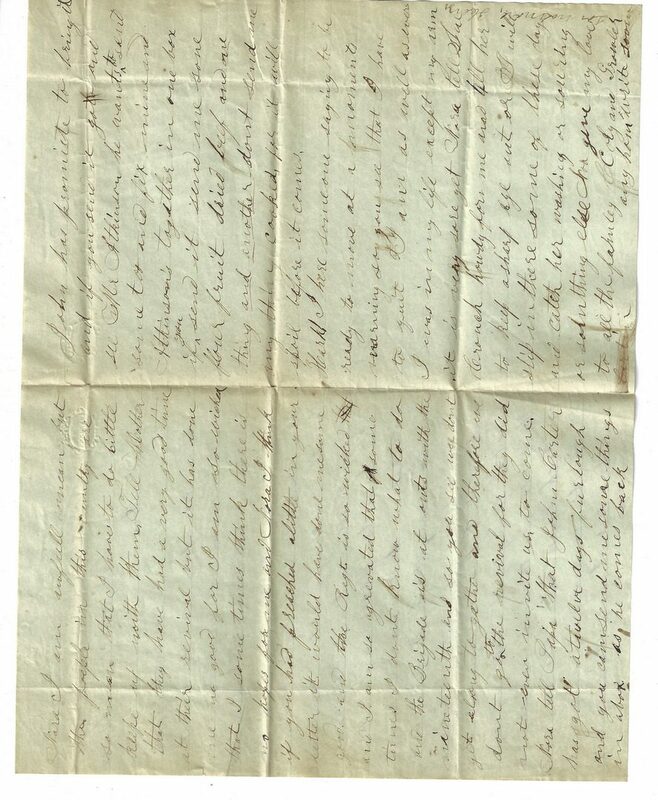 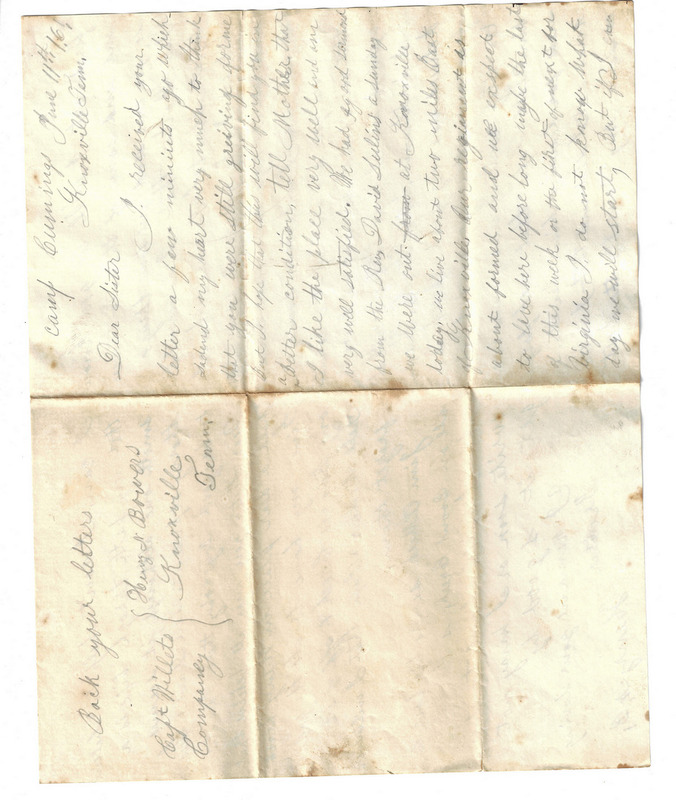 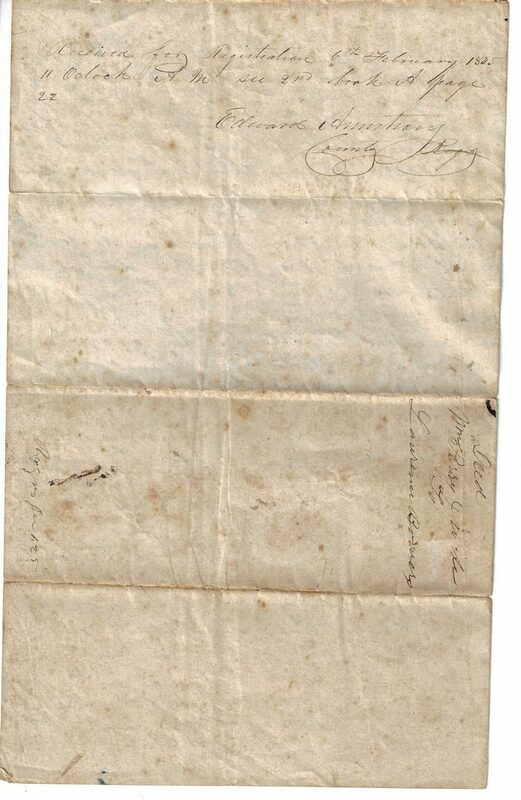 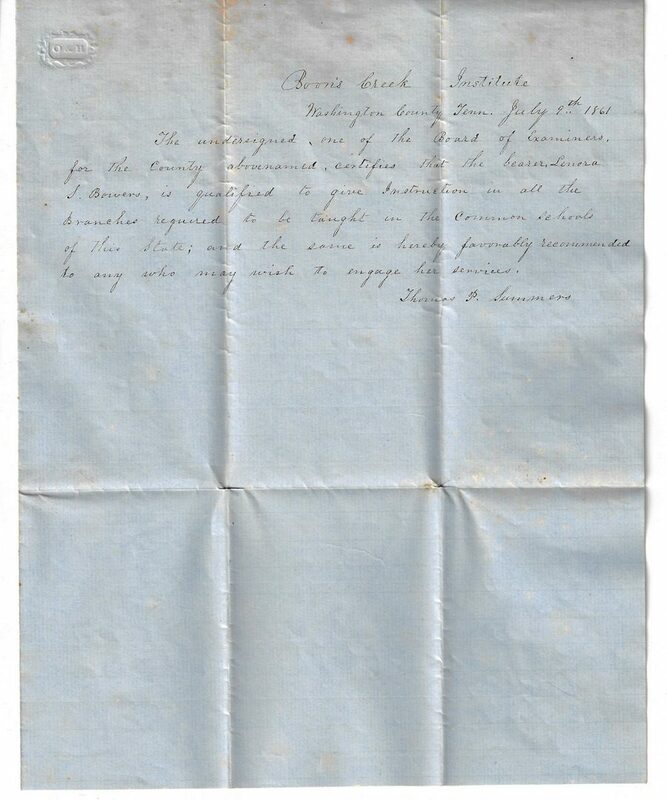 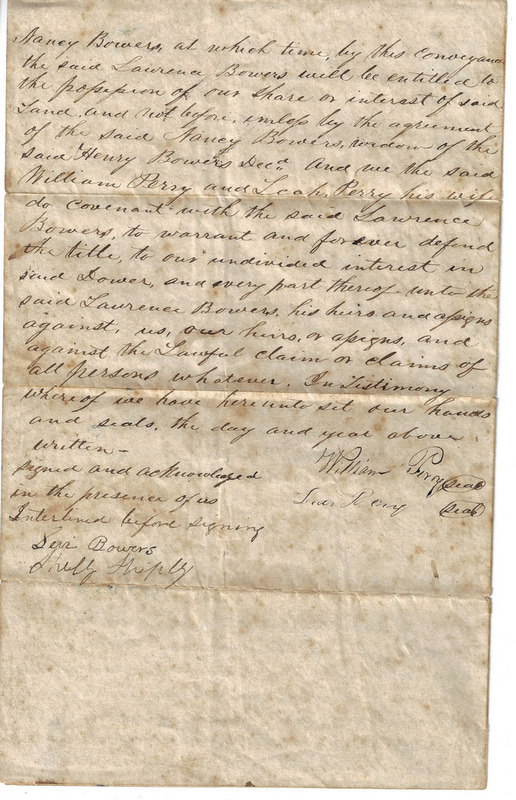 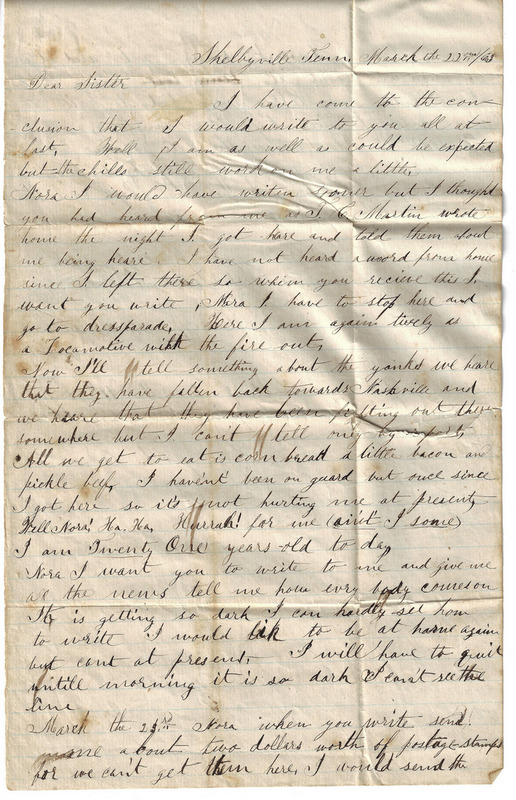 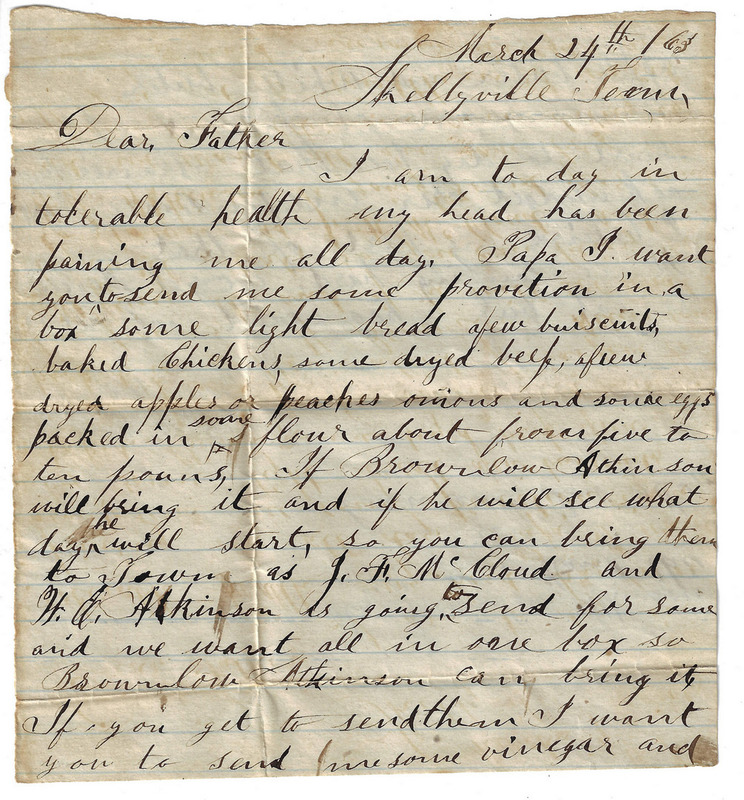 A second letter addressed from Shelbyville, TN, dated April 19, 1863 he elaborates further, writing "The yankeys [sic] have moved their position, We are out in front of the Army and have been ever since I have been here, between Shelbyville and Murfreesboro…". 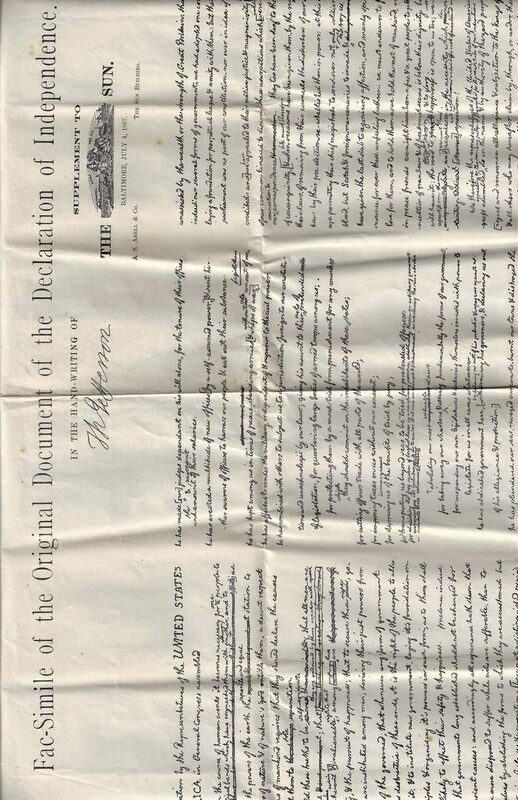 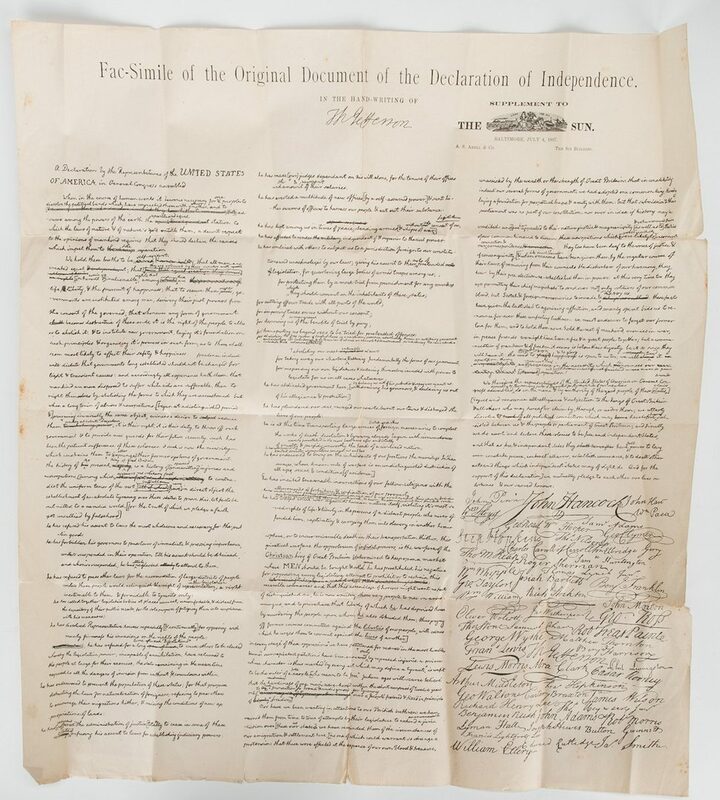 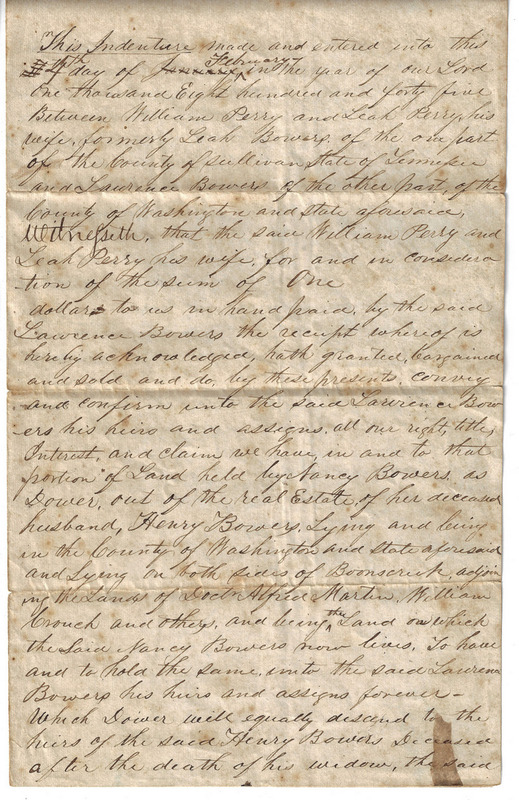 Also included is one (1) land transfer deed for $1 between Lawrence Bowers and William Perry and Leah Bowers Perry, dated 1845, concerning land in Washington County; one (1) letter certifying Lenora Bowers as qualified to give instruction in the common schools of Tennessee signed by Thomas Summers, dated 1861, one (1) Niagara Falls related letter, and one (1) facsimile of the Declaration of Independence, published as a supplement to the Baltimore Sun July 4, 1887 by the A.S. Abell Co. Facsimile approximately 22" H x 20" W. Early/late 19th century. 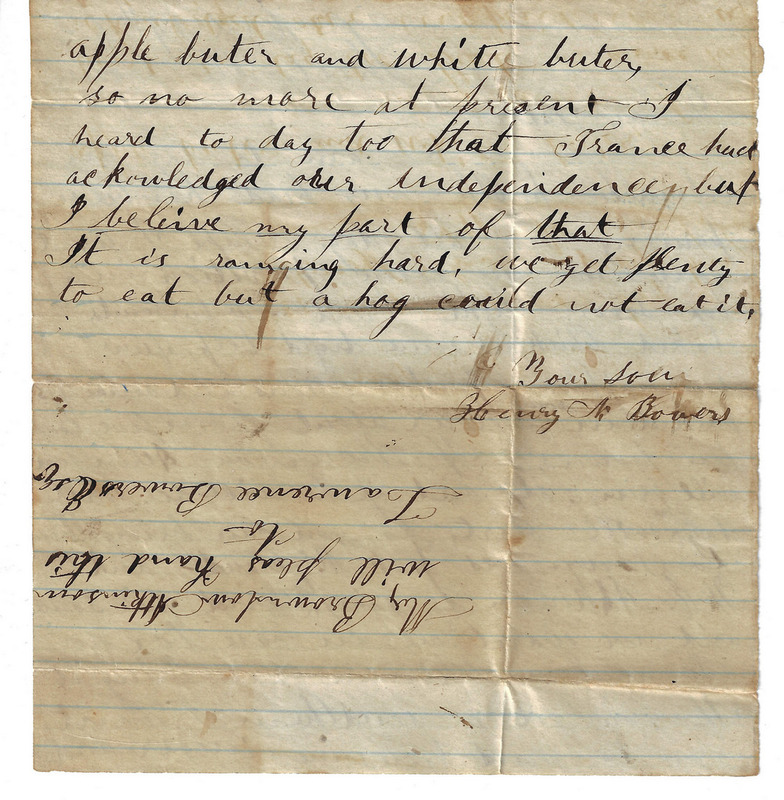 Biography: Henry N. Bowers initially joined the CSA, 19th Tennessee Infantry, Company B, until he was captured as a prisoner of war at the age of 21. He then joined the Union, 4th Regiment, Tennessee Infantry, Company B, F, until his death in December 1863. 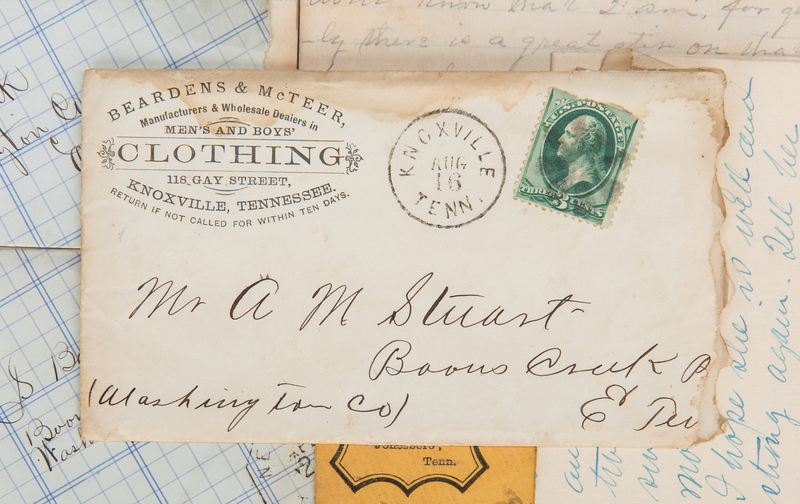 He was buried in Bowers Cemetery, Johnson City, Washington County, TN. 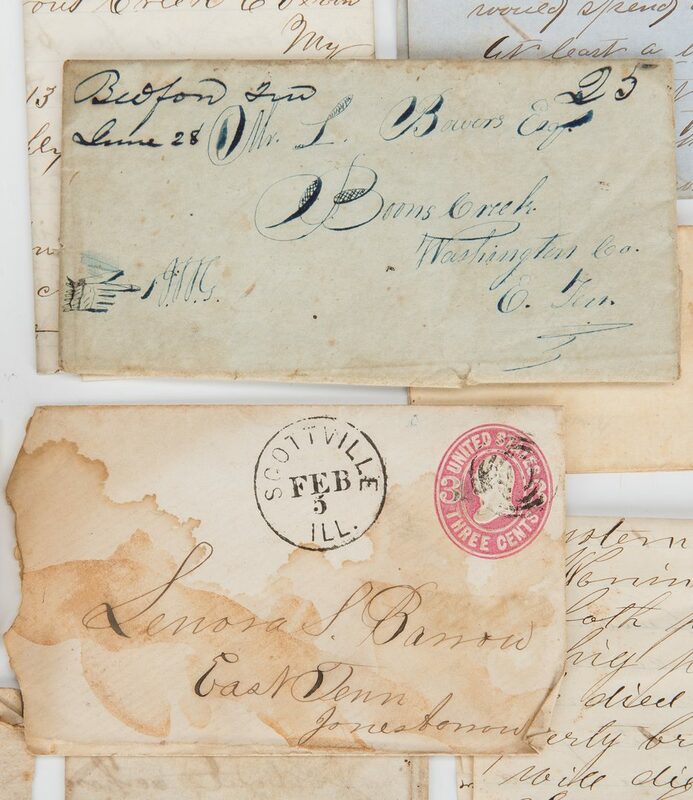 Provenance: descended in the family to present consignor. 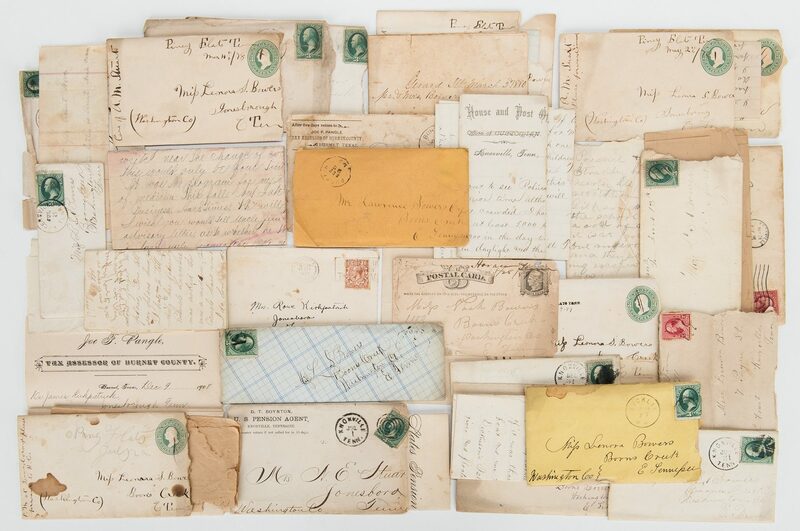 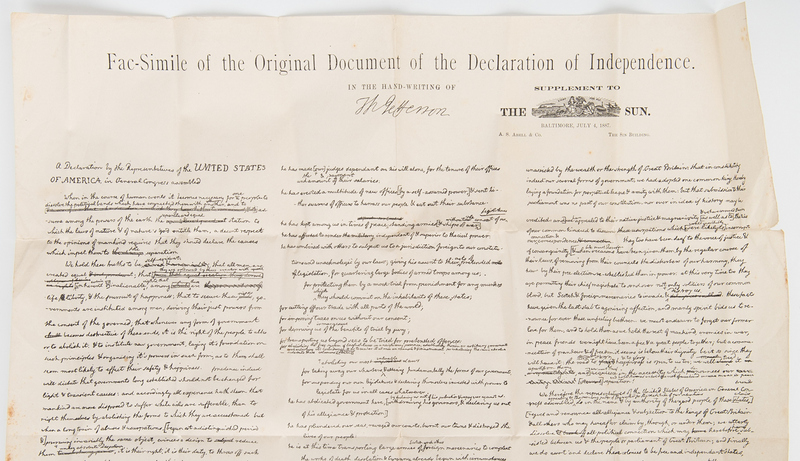 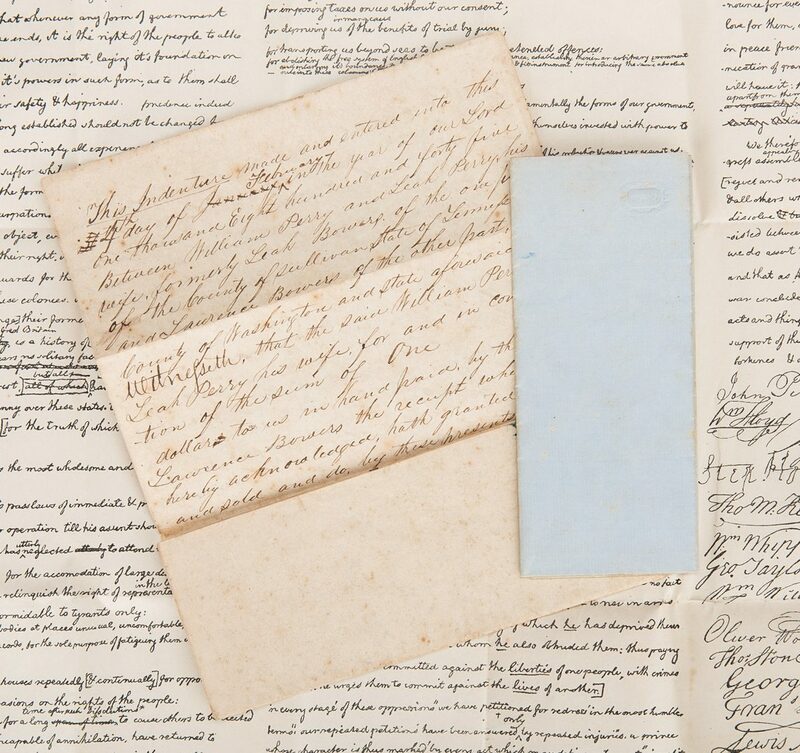 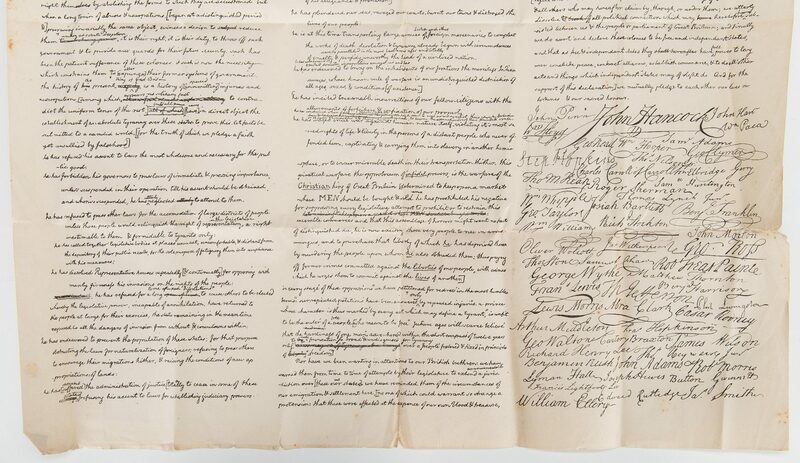 CONDITION: Letters survive in various states of preservation; some with significant fading, others in good condition. 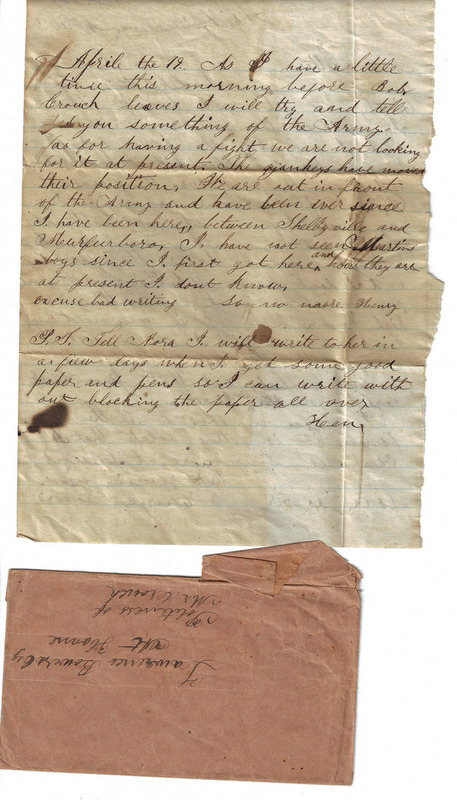 Most remain readable and with chipping, creasing, toning and some small tears or light foxing. 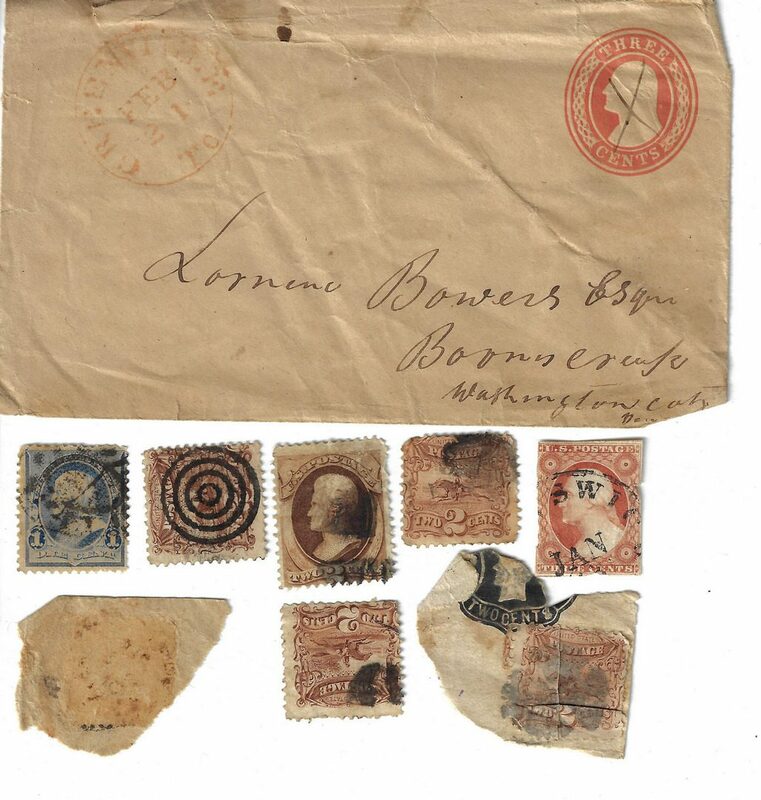 Some retain envelopes (some stamps present, others removed).